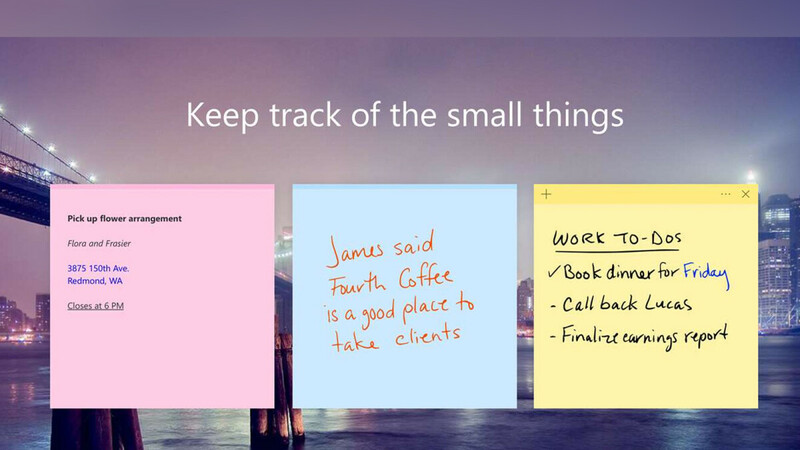 Microsoft's Sticky Notes, of all things, is now coming to smartphones, but not as a separate app (not yet, at least). Microsoft's oft-mocked productivity app is now getting integrated with OneNote, so users can effortlessly sync their stickies between devices. The feature is going live as part of a new update for OneNote on Android and iOS. It introduces a new tab within the note-taking app where users will be able to find their synced sticky notes. A mobile version of Sticky Notes has been rumored for some time and this seems to be it for now. However, Microsoft has been heavy at work updating its Android home screen replacement app, so some sort of Sticky Notes sync functionality may be coming to Microsoft Launcher as well in the near future. oh great I've been waiting for this my entire life.